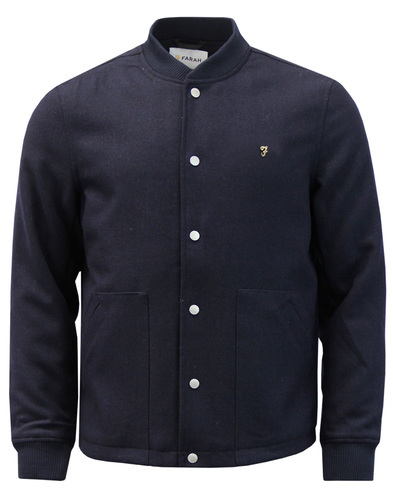 Original Penguin Men's Retro coated cotton British Millerain field jacket. A contemporary Indie take on a classic Military style, the Original Penguin British Millerain Field Jacket blends stylish Mod traits with the practicality of a traditional country heritage jacket. Retro check quilted lining adds a neat colour pop. Multi pockets, Retro toggles and the fact that this Original Penguin British Millerain jacket is water resistant make this garment ideal for the good ol' UK climate. 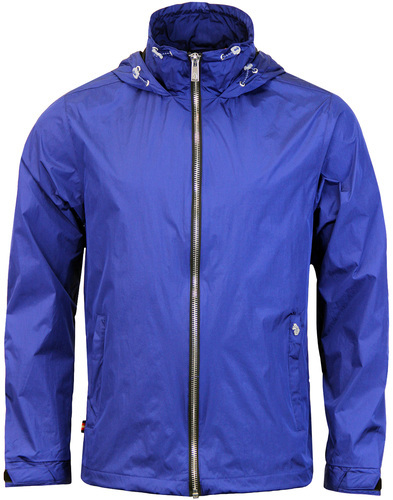 - Original Penguin British Millerain Field Jacket in dark sapphire. 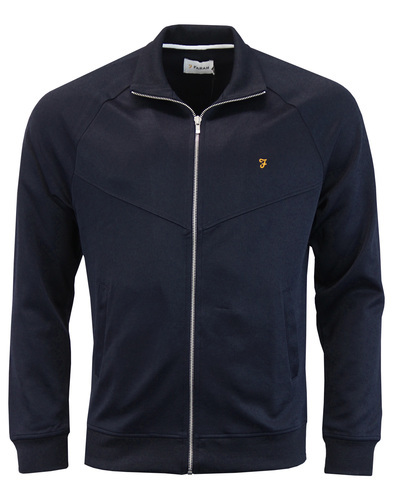 - Coated cotton water resistant shell. 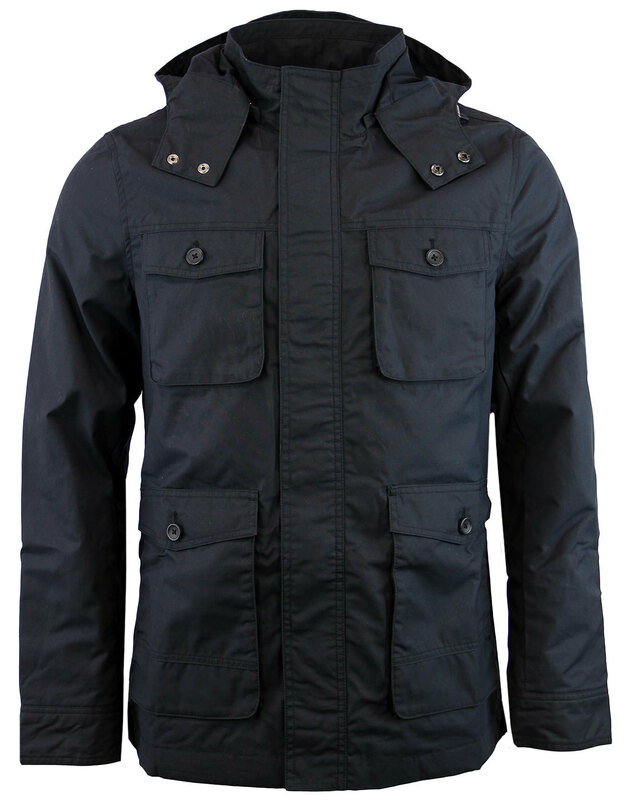 - Detachable Mod parka hood with snap fasten storm guard. - Retro quilted check lining. - Two button down flap pockets to chest. - Two button down bellow pockets to sides. - Retro toggle adjuster to hood. 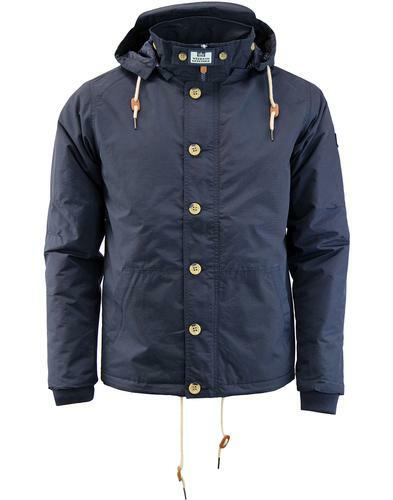 - SKU: OPRF6223 413 British Millerain Field Jacket. Composition: Main body: 100% Cotton. Body lining: 100% Cotton. Sleeve lining: 100% Cotton. Filling: 100% Polyester. Care: Machine wash cold, separately. Please refer to garment care label.